This is great adivce to the language teacher! I certainly agree with everything here but I am a little weary of giving stickers unless it is given sparingly. My answer to the forth point is to tell jokes in class if you are the teacher, particulary jokes that involve both L1 and L2 words. It could help students remember certian vocabulary if it is presented in a pun. But don’t overdo it though. My colleauges can attest to this! Presentation at JALT 2013 in Kobe! The Advanced program gathers 20 English teachers who teach in high schools in Kanagawa, supporting them in action research and professional development in order to create “leader teachers” who will be the hub of change and professional development in their schools. This program has entered its third year and we will present the changes we have noticed in our participants and the process in promoting that change. Our presentation will be on Monday October 28th, 10:10-11:40 in room 407 at the convention. English is full of traps, even for native speakers. Fall into one of them, and most people won’t notice or care if it is spoken English. In writing though, especially when you sit for exams, things are more complicated. This article concisely describes the psychology of motivation and the basic underlying factors that increase or decrease it. Click the link to read more. Also included are links to other related articles on motivation. CALL, Computer aided language learning, computers, Interesting! From super-effective search tricks to Google tools specifically for education to tricks and tips for using Gmail, Google Docs, and Google Calendar, these tricks will surely save you some precious time. A must have for any serious Googler! 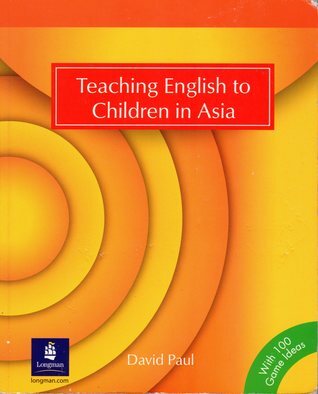 I think if there was ever a more influential book out there for teaching EFL in Asia this text written by David Paul is the one. It is my personal favorite. In the early days of my teaching career when I was fresh and in need of some guidance, this book lead the way for me especially when I had to teach younger children. The best part about it is the philosophy: child-centered learning over teacher-centered learning. Is the ideal teaching situation one where the students are told what to learn or is it discovered on their own in the right conditions? How do we deliver content and at the same time encourage our students to “discover” English and not be too dependent on the teacher at the same time? This text, along with others, will be based on a workshop I will teach at the Kanagawa Institute of Language and Culture in the Summer of 2014. One will focus on the elementary school context. I hope I can shed light on some of these questions in my workshop. The focus will also be on how to conduct cooperative language learning as well. If you click the link you can find a copy but strangely the Japanese translation of this text is out of print, which makes me wonder how it was received in Japan. When I worked in a public school in Japan, I remember how the students would make the front page of a newspaper to tell about their school trip to Kyoto, or other events. Now your students can go from analog to digital. I am pretty sure as you introduce the idea to your students everyone will want to have a say in their next e-magazine. There is nothing much more rewarding to students then to have a proof of their hard work recognized in a publication of some sort. Most of the tools cited here are easy to use and have user-friendly interface and they will let you create your own e-magazine or newspaper in few simple steps. Yet I would recommend your discretion as you use them with your students.